We are always members of different collectives, our nature is to belong to various groups, and group identity modifies our perception of the world and other people around us. In this research, we specifically focus on understanding collective nature of emotions, both in laboratory setting and in real-life conditions. We address neural, behavioural and physiological mechanism of different types of emotions, now more defined by their collective-individualistic nature rather than concentrating on specific emotions. How should we successfully induce these different emotion types in experimental subjects? How should obtained data analysed? How could VR and AR be used in this context? How can we understand each other, especially other’s emotions? These and other related questions are addressed in this research. This work could focus on emotions in general or in some specific context including but not limited to teamwork, users as group of socially connected people, etc. Successful candidates can have different backgrounds, but previous knowledge of psychology, biology and/or psychophysiological methods is needed. Because measurement methods and data analyses may be quite demanding, a successful candidate should also have enough background for experimental instrumentation and computational data analysis. The applications for this topic should be submitted to katri.seitsonen@aalto.fi with reference to ‘Experience PhD’ by January 10, 2019.  Please carefully study the Aalto University School of Science Doctoral Program instructions on applying, and contact prof. Mikko Sams well in advance before submitting your application.